The best time on 4th! Pour on 4th! 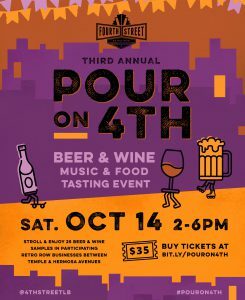 Long Beach, Calif. – A sort of neighborhood happy hour, Fourth Street’s Retro Row Business Association is hosting its third annual Pour on 4th event Saturday, Oct. 14.